You can message us by the following quote button. At the same time, you can send eamil to us. This is our company eamil address. Email: sales@hdcweldingcable.com Or you can chat with us directly on duty time. We are happy to answer your any question about sjoow cable. sjoow cable is a kind of rubber cable, or we can say elastomer cable. Sjow cable belongs to portable cord. portable cord is also known as portable cordage, flexible cable, or extension cable. 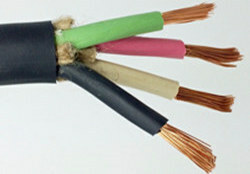 Sjoow wire is a cable with multiple conductors. 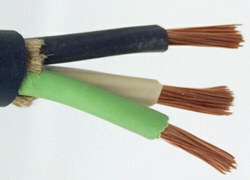 Sj00w used for temporary electrical power connections requiring flexibility. If you want to buy sjoow cable, please let us know. without hesitation to get your best sjoow cable quotation.
. In addition, HDC group also has sjeow cable for sale. we can send sje00w wire free samples to you if you need. 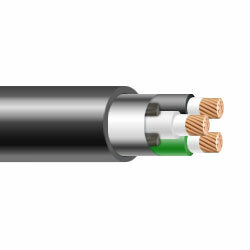 What are the features of sj cable? 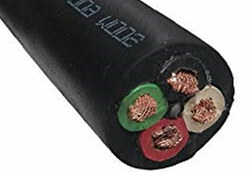 What are the applications of sjow cable? The SJOW wire remains flexible and durable. 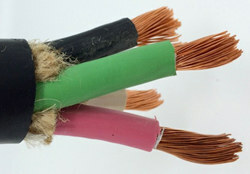 But sjow cable is designed for indoor applications such as portable tools, equipment and motors. At the same time, the choice between SOOW cable and SJOW cable mainly comes down to the voltage required for the project. 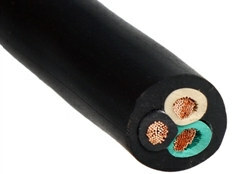 Sjow cable can be used in commercial, industrial, indoor, outdoor and residential applications. The sjow wire has a comprehensive range of applications. For example, operating motors in small and large tools, equipment, power extensions, machinery and home appliances. Huadong has high quality and low price sjow wire for sale. If you need to buy a lot of sjow cable or sjw cable, Huadong will be your ideal choice. Custom Service: Huadong Cable Group provide custom service for every customer. You can customize sjoow cable size in our company. Please kindly tell us what specifications of sjeoow cable do you want to buy. You can contact us by the following quote button. Starting custom your ideal sjoow cable size, the factory price will send you within 12 hours. Testing: Huadong Group performs rigorous testing on every step of the sjoow cable production process. 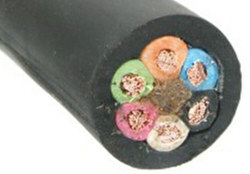 Package & Delivery: SJOOW cable package by iron or wooden drum or according to your requirement. Customer Case: Our SJOW cable products have been exported to more than 30 countries, such as: Russian, America, The Philippines, Yemen, South America, North America, Middle East, Africa, Asia, Oceania countries and etc.